Grilled cheese sandwiches hold a special place in my heart, or stomach, and I think I practically lived on them when I was a student. But this is a more grown-up breakfast version that is full of healthy fats, and ready in 5 minutes. 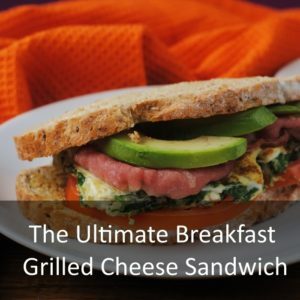 This is The Ultimate Breakfast Sandwich! When we are looking for something a bit more substantial for breakfast, but usually go with an epic breakfast sandwich. 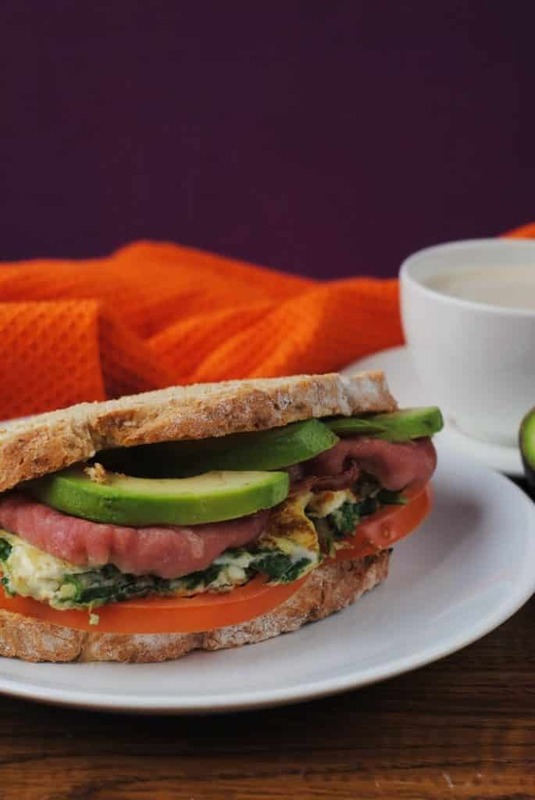 Basically, all our favourite breakfast ingredients bursting out of a sandwich. It sent us up for the day, that’s for sure. Grilled cheese sandwiches don’t have to be unhealthy, and this definitely proves that. Being an overweight and lazy student, grilled cheese sandwiches were the perfect quick and easy comfort food for me. I would usually make myself 3 (yes, 3!) for lunch, which would explain why I was so overweight. There was also more cheese than bread, which kind of makes me feel queasy to think about it now. But that doesn’t mean that I don’t enjoy grilled cheese sandwiches now – I just make healthier versions of them, make sure they have a filling protein in them and use a really good cheese, with lots of flavour. I mean, just look at the deliciousness! It has everything that a breakfast should have, in my opinion. 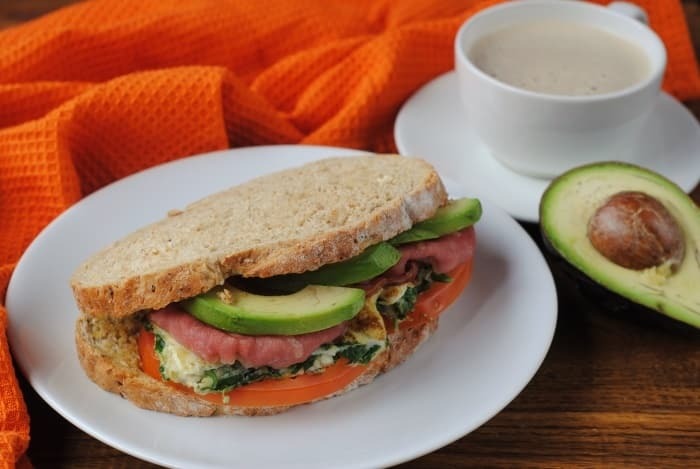 Bread, eggs, cheese, veggies and avocado. 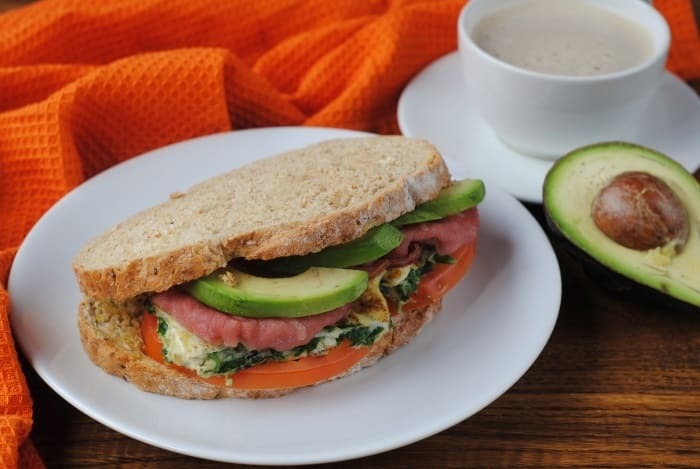 Packed with protein and iron, this is a sandwich that will set you up for the day. It is lower in calories than most grilled cheese sandwiches and ready in just 5 minutes. It is also fairly cheap to make too, especially when you get some money off coupons for the ingredients. Sadly, the UK doesn’t have the crazy amount of coupons available to us that those of you in the U.S. do (those programmes about extreme couponing are fascinating), but that doesn’t mean that there aren’t any options. 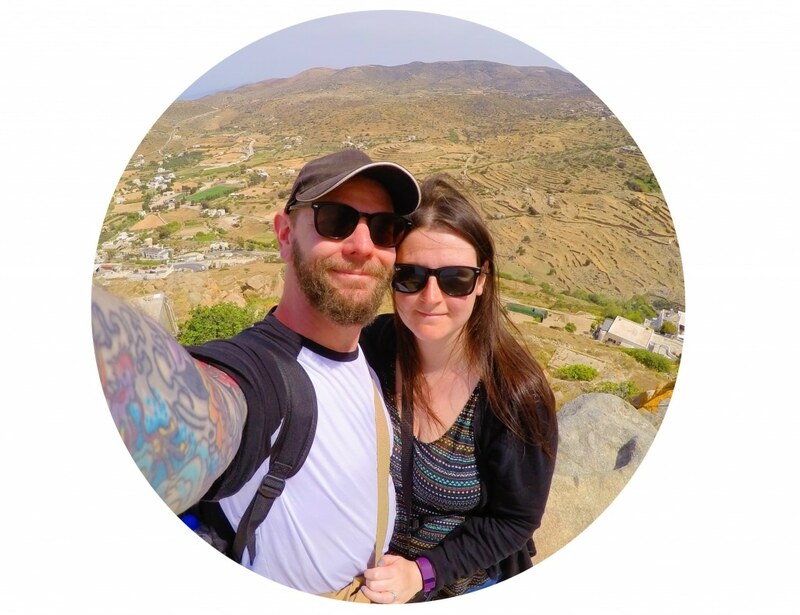 I was recently contacted by GreenJinn, which is a money saving iPhone app that offers you coupons personalised to your own tastes and I am loving the money that I have saved with the app. 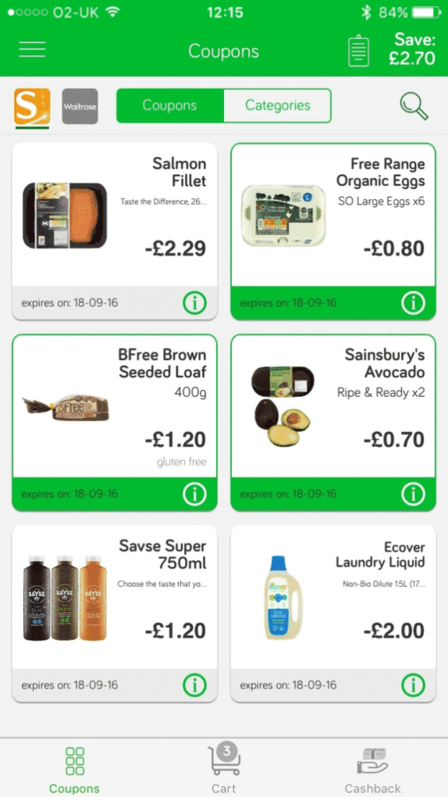 You don’t have to worry about being bombarded with coupons that are useless to you, as they are personalised, which is one of my favourite things about the app, as well as how easy it is to use, even for a technophobe like me. Basically, you are saving money on healthy products you like, in a really easy way! You simply download the GreenJinn app, set your preferences by defining your favourite kind of products and then the genie will learn about your tastes and give you coupons that match those. Every week, they will send you new coupons and then you just select the ones you want, buy the product, keep the receipt and then claim your cash back by taking a photo of the receipt. So simple! I used vouchers for bread, eggs and avocado for this, so this was a super budget sandwich. 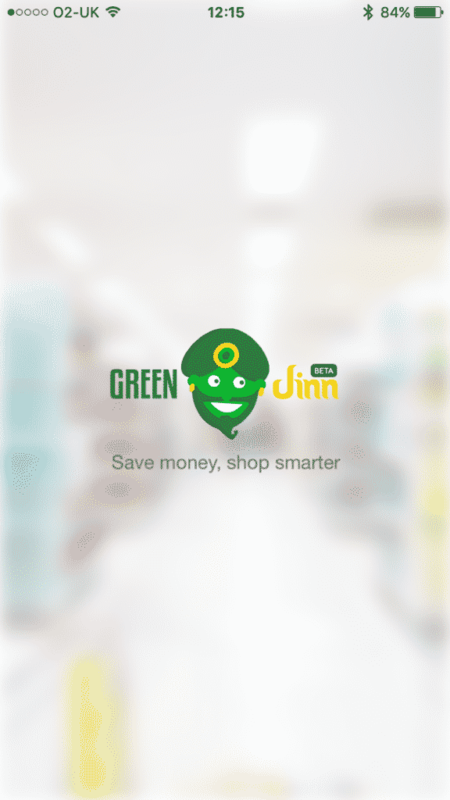 If you want to save money on your food shop, then head over to the GreenJinn website for more details. The next few months there are going to be some delicious new breakfast recipes on the blog. 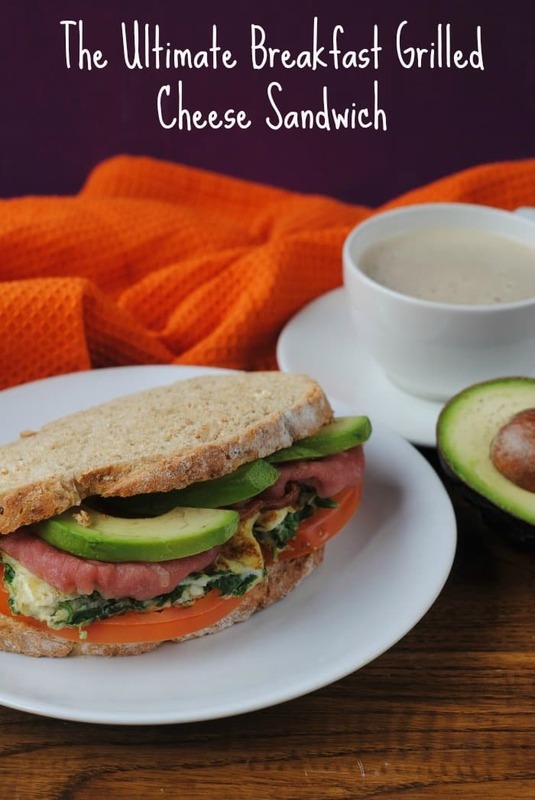 I am determined to make time for breakfast, even when baby arrives, so expect to see quick and filling breakfasts, that are of course healthy too. That is my favourite combination when it comes to a meal. Grilled cheese sandwiches hold a special place in my heart, or stomach, and I think I practically lived on them when I was a student. But this is a more grown-up breakfast version that is full of healthy fats, and ready in 10 minutes. Heat a pan with a little spray oil. Whisk the egg with the milk and cheese and add to the hot pan. Move the eggs around the pan for around 1 minute until they are scrambled and then stir in spinach. They can be a little under cooked, as they will cook more in the sandwich. 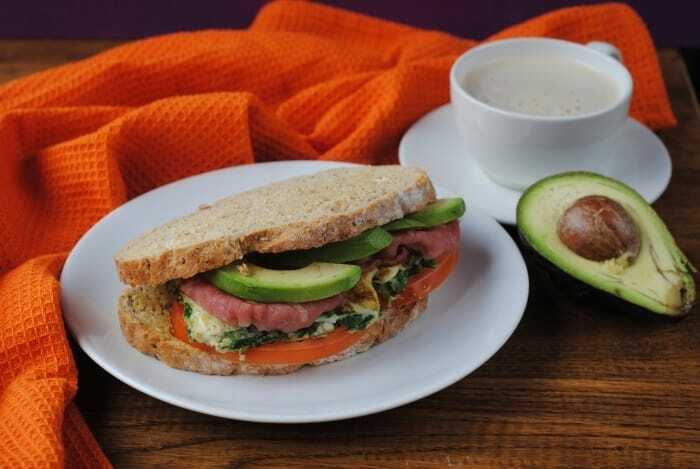 Start to assemble your sandwich by adding the sliced tomatoes and bacon to the bread, then top avocado, red pepper, the cooked egg and cheese. Finally, put under the grill for 3 minutes, until the cheese has melted and then top with the other slice of bread. What is your favourite kind of grilled cheese sandwich? Do you like it classic with just cheese? Or have any interesting combo ideas? Thanks for sharing with us i am big fan of grilled sandwiches,without sandwich my morning doesn’t start.I will try one this. HI, THank you for this article . I love grilled sandwiches But yet now i dont know how to make it and receipe for this but now i have because of your blog.I will make it . This is best breakfast ever i think. Mmm this is calling my name for breakfast this morning! Breakfast foods are my favorite, so I can only imagine how delicious this must taste! Such a great idea, Dannii! The avocado in this looks so good. So, is this like a cash back app then? I am keen to save money any way I can at the moment. 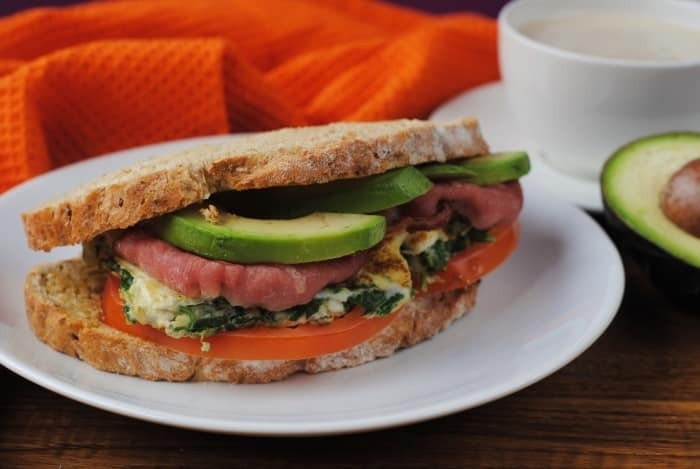 Yes I could definitely have a sandwich like this for breakfast. Looks yummy. I love the addition of avocado especially. That is going to be my breakfast tomorrow! Love avo and bacon together. I am totally broke at the moment and I know that I could save money on my food shopping. 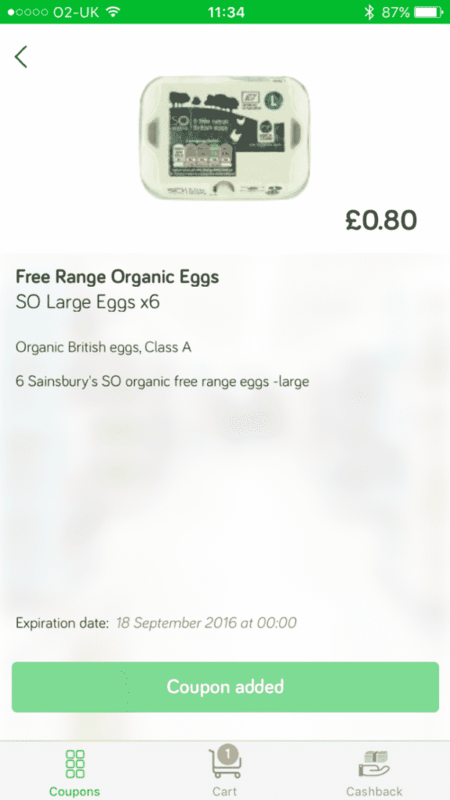 You are right, we don’t seem to get a lot of coupons in the UK, but I will take a look at the app. This looks like a great sandwich. It’s full of all of my favourite foods. Wow this grilled cheese sandwich looks amazing! I love the addition of avocado. Such a perfect breakfast recipe. Thank you for sharing! Yuuuuummy!! I love the grilled cheese…I want to try it also with avocado cream!! What do you think Dannii? This GreenJinn app looks interesting…thanks for sharing, where can I find it? Does it make you save a lot on this kind of products? I love grilled cheese sandwiches. They are so quick and easy to make. Never thought of putting avocado on them though. Yum! Cheese is such a weakness for me, but this looks far too delicious not to try!